Italy may not be as famous for its chocolate as Switzerland and Belgium, yet the country has a long tradition associated with chocolate making. 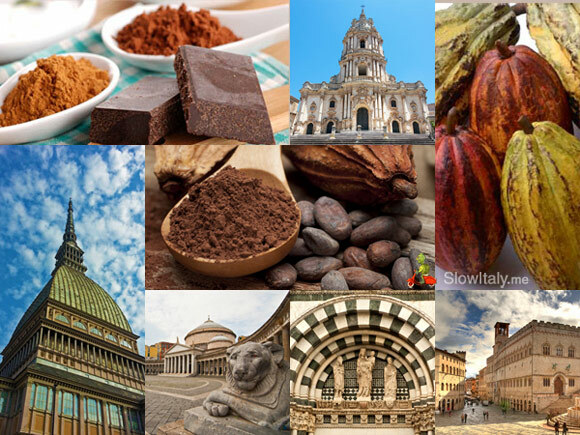 While it were the Spaniards who brought the Aztec delicacy to Europe, it was Turin which really became the first capital of chocolate. 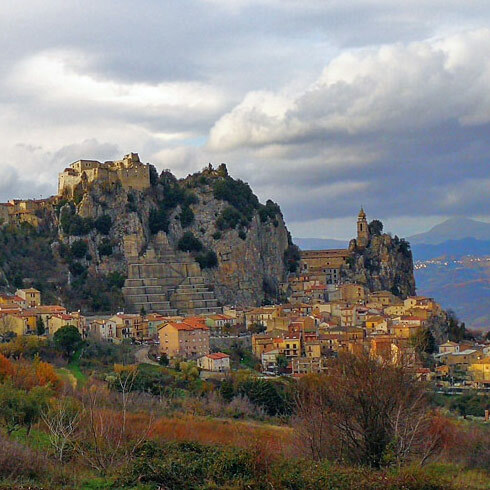 Two other centers of excellence include the Sicilian town of Modica, which still produces its chocolate following the original Aztec recipe, and the Chocolate Valley in Tuscany, between Pisa, Prato and Pistoia. 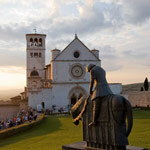 Also renowned for their historic artisan chocolatiers are Napels and Perugia. Italy also hosts some of Europe’s most famous chocolate fairs, where chocolate producers and chocoholics from all over the world meet annually. 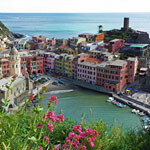 The first region that comes to mind when talking about Italian chocolate is the Piedmont region. 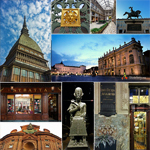 The capital of the region, Turin, has a long association with the cacao delicacy. Cacao was brought to the city by the end of the 1500s when Catherine, daughter of Filip of Spain, married Charles Emmanuel I, Duke of Savoy. 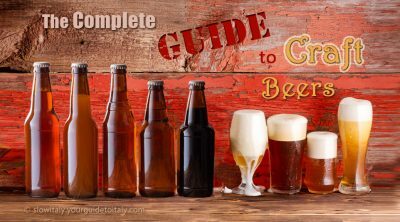 At the European courts, the food was originally consumed as a drink, appreciated for its invigorating properties. The first cioccolateria (a forerunner of today’s cafes where the hot cacao drink was served) was opened in Turin in 1678, as testified by a written document granting chef Giovanni Antonio Ari regal permission to sell the creamy chocolate drink for six years. 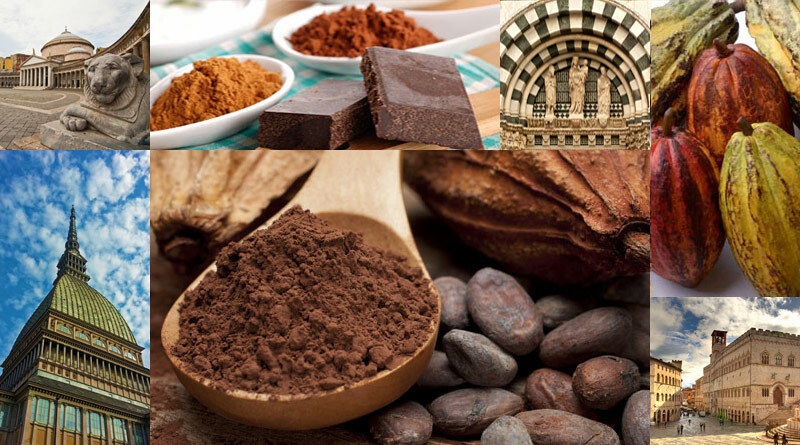 In the following years, many other Turinese chocolate shops followed, gradually turning the city into a European center of chocolate making, with a daily production averaging 350kg at that time. 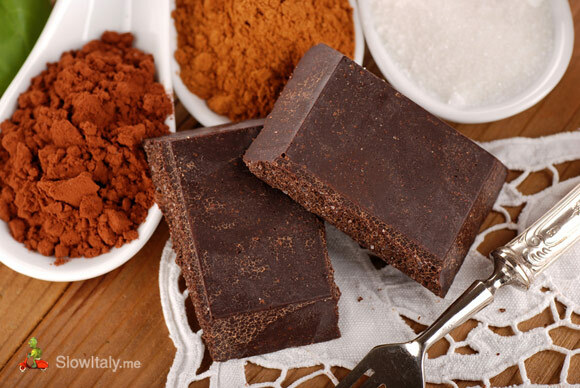 It was also in Turin that the Frenchman Doret developed the first machine for processing cacao and mixing it with sugar and vanilla, giving birth to the first solid chocolate bars. Many famous Italian chocolatiers, such as the Neapolitan Gay-Odin (see further), were originally from the Piedmont region. 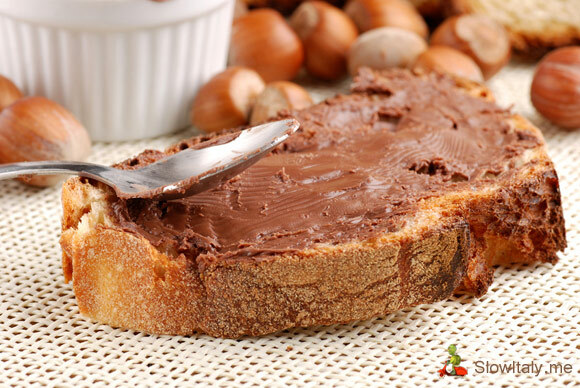 Originally, gianduja was created in response to the English embargo on cacao during the Napoleonic wars. 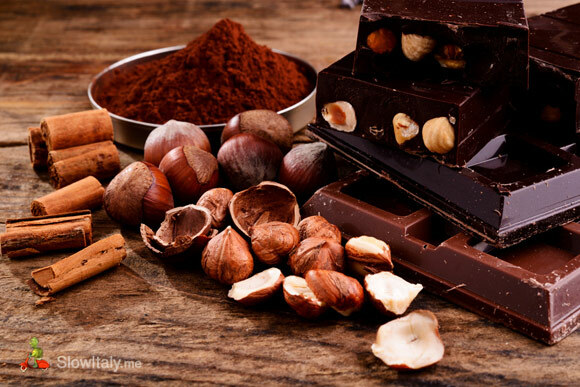 To curb the embargo, Turinese chocolate makers had the idea to mix the chocolate with hazelnuts (which were abundantly available in Piedmont, more specifically in the Langhe hills), creating the famous hazelnut and chocolate paste. We definitely recommend you to also try the delicious giandujotti (gianduja bonbons), invented by the Turin-based chocolate manufacturer Caffarel. 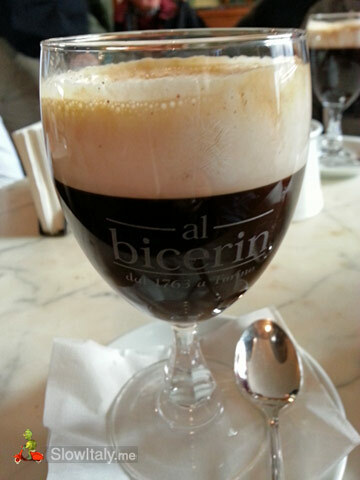 Another chocolacate-based icon of Turin is the bicerin, made of espresso coffee, chocolate and whipped cream. Invented at Caffè al Bicerin in 1763, the drink was a favorite among Italian and European aristocracy and artists. See more at: CioccolaTo Turin Chocolate festival. Turin also host a yearly must-be rendez-vous for chocolate connoisseurs around the world, the 10-day-long chocolate fair CioccolaTo, running from the end of November through the beginning of December. See more at: 10 reasons why Turin should be on your Italy bucket list. Another Italian town famous for its chocolate, is Modica, one of the late baroque towns of Sicily located in the Val di Noto. 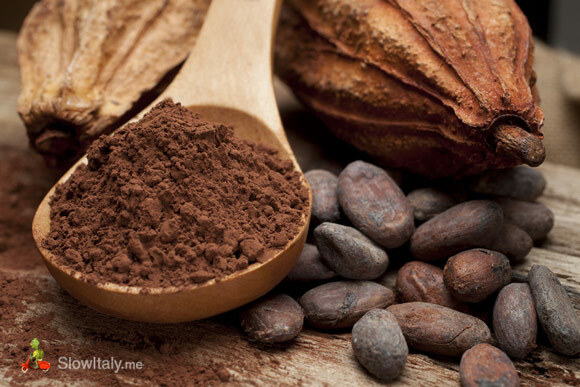 Modica’s chocolate (cioccolato modicano), produced according to a special recipe that is said to date back to the 1500s, has a very singular taste and texture. The recipe is believed to descend directly from the Aztec tradition brought to Sicily by the Spaniards during the Spanish occupation of the County of Modica. It is exclusively a cold-working process, during which there is no conching of the chocolate mass. During the conching stage, modern chocolate is heated at high temperatures to produce a perfectly smooth texture that melts in the mouth. Instead, during the production of Modica’s chocolate, the chocolate mass is kept below the temperature at which sugar melts, throughout the process, which gives the cioccolato modicano its typical granular texture. Modica’s chocolate is also very natural as it is made solely with hand ground cacao and sugar, without added cacao butter, lecithin, emulsifiers or other additives. 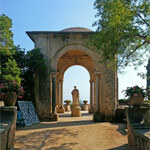 See more at: Secret and unusual Sicily. As you stroll through town you will find many chocolate shops selling the famous Modica chocolate with different natural flavorings. In many of these shops you can also taste various chocolate products and local sweets. 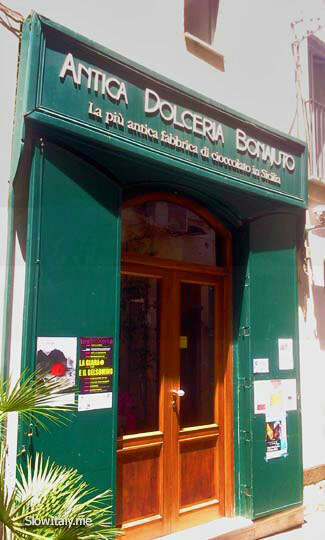 Don’t miss the old Dolceria Bonajuto, in the beautiful historic center. Founded in 1880, this confectioner’s offers a whole range of delicacies flavored with the typical Modica chocolate, as well as almond sweets. See more: Top 5 favorite restaurants in south eastern Sicily. 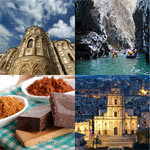 Modica is also the venue of Chocobarocco, a festival dedicated to the town’s centuries-old chocolate tradition. 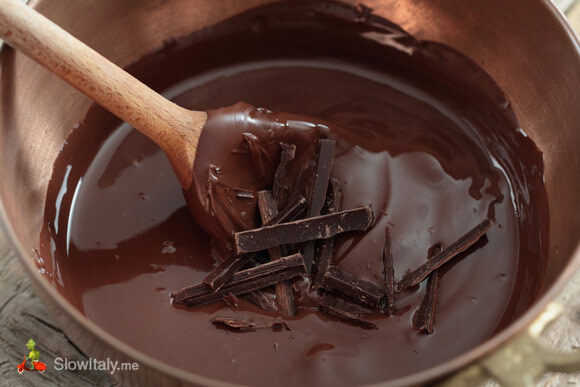 See more: Chocolate Festivals in Italy. 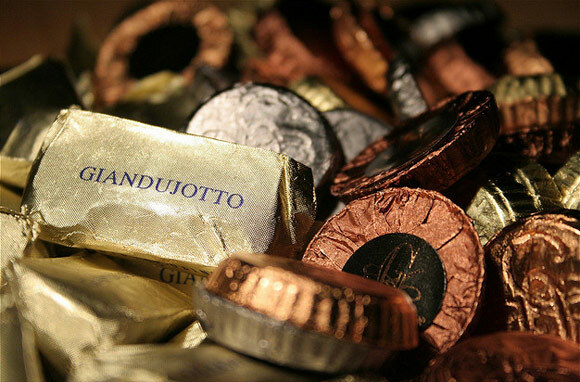 Two of the most famous historic chocolatiers in Napels are Gay-odin and Scaturchio. 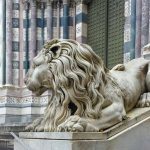 The latter one, renowned since 1905 for its Ministeriali, is located in the historic center of Naples, on Piazza Domenico Maggiore. Legend has it that during the early years of the unification of Italy, Francesco Scaturchio, founder of the chocolate shop, fell in love with a chanteuse, and to conquer her heart he invented a chocolate medallion with creamy filling, the Ministeriali. 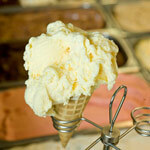 The delicacy, confectioned according to a secret recipe, comes in two different shapes. 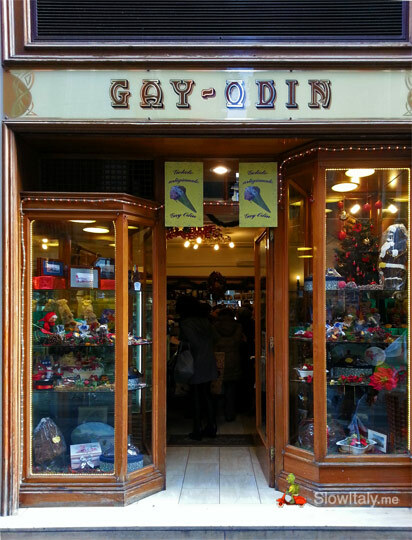 The other famous chocolatier, Gay-odin, was founded by Isidoro Odin and his wife Onorina Gay. The historic shop, located in Via Vetriera 12, was frequented by Oscar Wilde during his stay in Naples in 1897, by poet di Giacomo and by Eduardo De Filippo, the star of Neapolitan comedy. The mahogany furnishings and floral window are reminiscent of the free Liberty style created by the engineer Travisan who renovated the building in 1922. The photo below is of the shop in Via Toledo 427, the second one to be opened in Naples. Today the chocolatier counts 9 outlets in the Parthenopean town, as well as one in each of the literary cafe areas of Rome and Milan respectively. For those of you who want to try the chocolate delicacy in its liquid form, close to the way in which it was consumed a few centuries ago, we suggest to order a cioccolata calda at Gay-Odin. 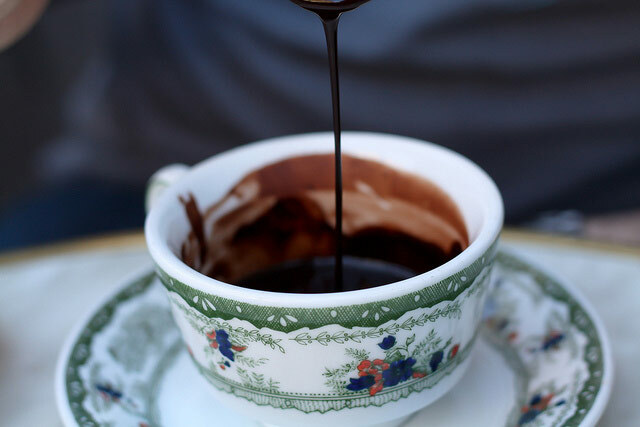 The thick, dark, creamy, hot drink, which is still handcrafted and charged per per 100g (etto) and looks similar to a melted chocolate bar, has kept close to the original hot chocolate drink that was en vogue among the bella gente in the 17th and 18th centuries. Super tick hot chocolate at Caffè Gambrinus. The Gran Caffe Ciorfito in Via S. Biagio dei Librai, 90/91 and Caffè Gambrinus, one of the elegant, turn-of-the-century coffeehouses of Naples also serve an excellent cioccolata calda. Just make sure to order the thick, creamy version, and not a cioccolata calda al latte (which is more similar to our modern hot chocolate). 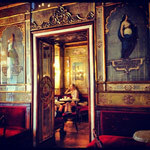 See also: Top 15 historic cafes of Italy. Perugia is home to the Perugina chocolate and to one of the most important chocolate fairs in Italy, Eurochocolate. 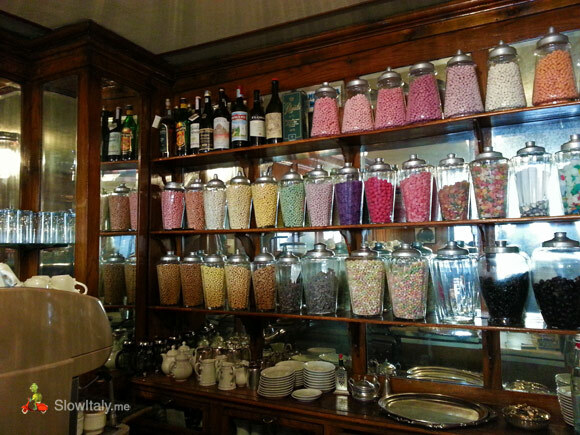 The Casa del Cioccolato, the famous chocolate museum founded in 1997, is located in Viale San Sisto 207/C. Another institution in Perugia dedicated to chocolate is the Pasticceria Sandri, in Corso Vannucci 32, the most ancient pasticceria of Umbria. 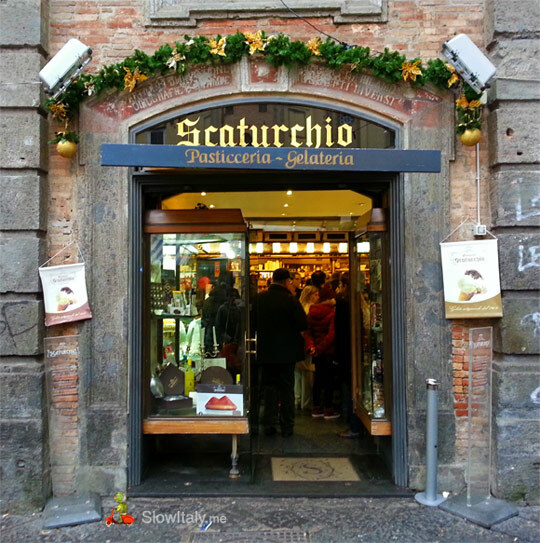 It is still run by the descendants of the same family of Swiss confectioners Schucani who came to Italy in the 1800s. The beautiful pasticceria with vaulted ceilings and Liberty-style furniture sells sweets and chocolate based on a fusion of the Swiss and perugin traditions. Worth a mention is also the historic chocolatier Talmone, in Via Maestà delle Volte 12 traditionally the rival of the Perugina shop in Corso Vannucci. The Chocolate Valley referes to the strip of land that goes from Prato to Pisa, with Pistoia in its center, home to some of the region’s most renowned chocolatiers. 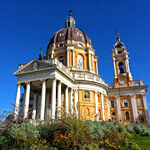 Considered the other chocolate capital of Italy, the area offers many specialized touristic itineraries. Famous chocolatiers include Roberto Catinari from Agliana, Andrea Trinci in Cascine di Buti and the Cioccolateria Slitti in Monsummano Terme by Andrea Slitti, world champion chocolatier and first Italian to win the Grand Prix de la Chocolaterie in Paris.The latter serves, besides delicious chocolate treats, also excellent coffee. 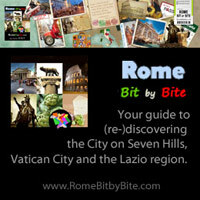 We didn’t see anything below Rome, but next time we will go to the South and the Amalfi Coast. Per favore. 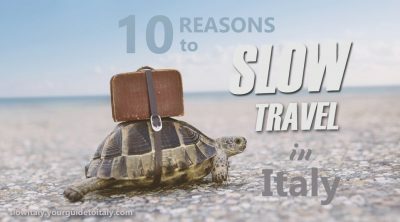 Thank you for mentioning Modica Sicily! 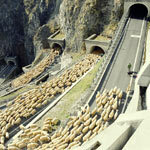 An often overlooked region with wonderful culture and food. I agree, Kathrynn, it’s such a pity that this wonderful region is so often overlooked. Thanks so much for your feedback!